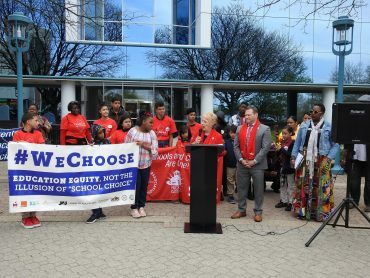 It is no secret that New Jersey’s public schools are consistently ranked among the top in the nation–but a lesser-known fact around the Garden State is that in recent years, many of New Jersey’s public school employees have seen significant decreases in their take-home pay. The Monmouth County mall walk, an idea conceived by Freehold Regional Education Association member Laura Kropa and organized collectively by rank-and-file NJEA members, was just one of many events happening all over the state designed to raise awareness about the devastating financial issues plaguing New Jersey’s public schools. 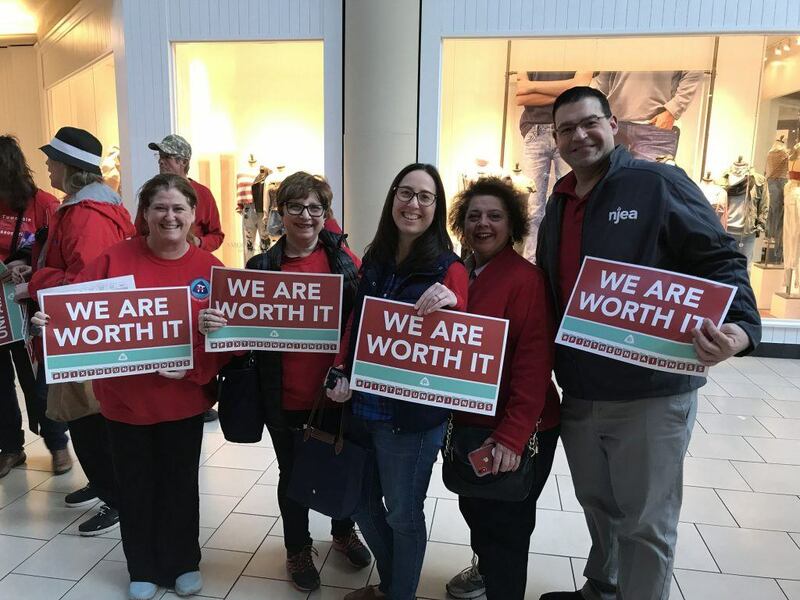 Like other public employees all over the Garden State, many of NJEA’s 200,000 members have seen their take-home pay decrease dramatically as a result of the Chapter 78 legislation that was enacted in 2011. 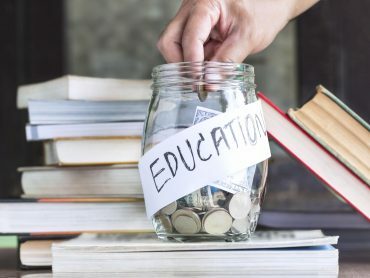 Most educators’ raises do not even begin to cover the ever-increasing cost of healthcare, and the result is that some public employees will never take home as much as they did in 2011. 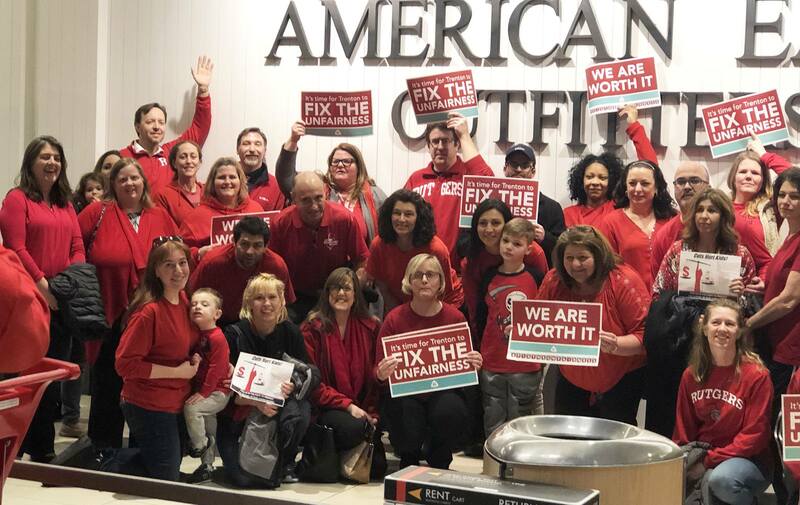 Unless New Jersey legislators act to address this issue, some educators will continue to see steady financial losses for the rest of their careers–a reality that will not only negatively impact those educators’ families, but will ultimately hurt the economy in the Garden State. 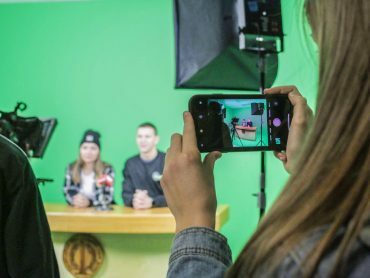 If New Jersey is to keep its reputation as a national example of excellence in public education, all of the state’s residents–and all of the state’s legislators–must commit to fully funding our schools and compensating educators, who make markedly less in salary than those with similar professional degrees in the private sector, for the excellent work they do. Our students deserve no less.